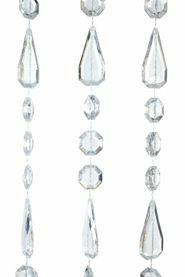 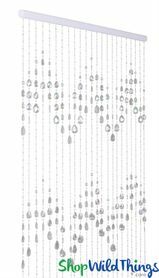 Find the Beaded Curtains and Sparkling Crystal Hanging Columns you need for your special event, home Decor or video set at ShopWildThings. 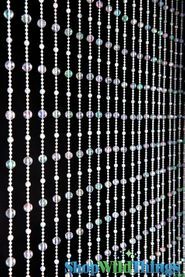 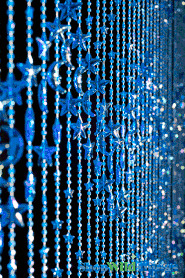 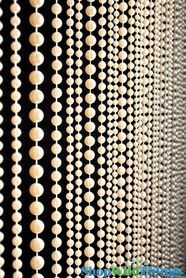 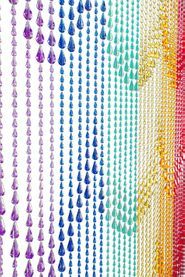 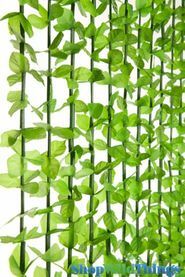 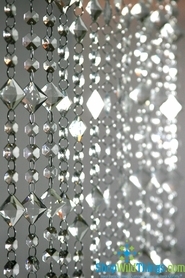 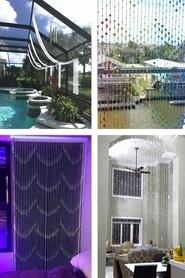 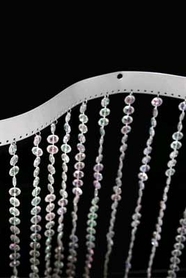 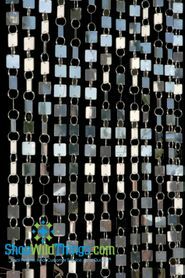 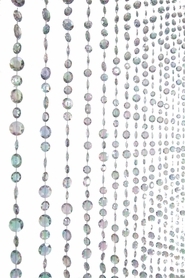 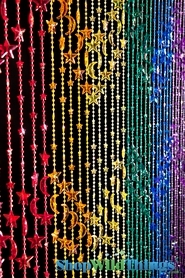 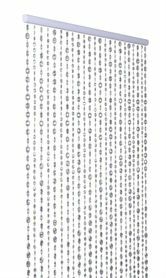 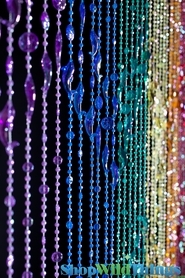 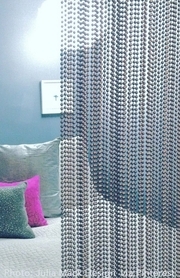 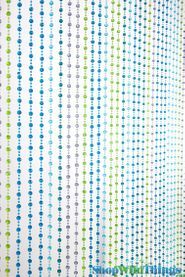 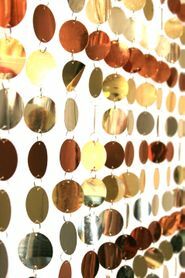 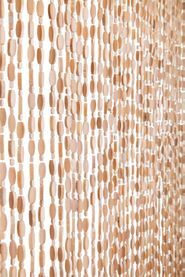 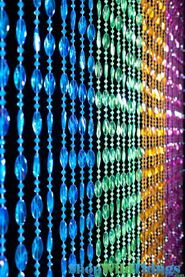 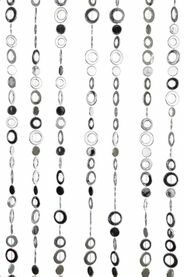 We carry hundreds of beaded curtain varieties, and installation is easy. 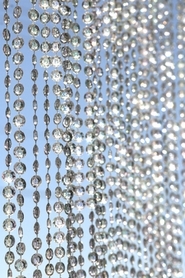 That's because our glittering beaded curtains are already pre-installed on one rod when they arrive at your door. 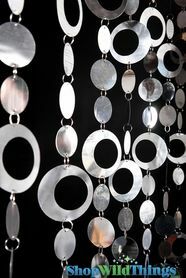 If you've got a hammer, two nails and two minutes, you're done. 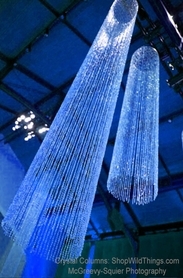 Our custom bendable rod crystal curtains can be handily shaped to create stunning wedding or stage backdrops. 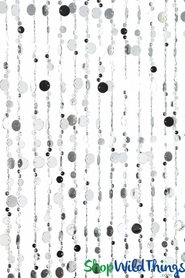 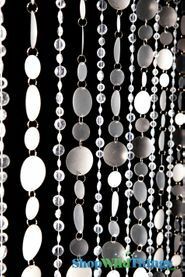 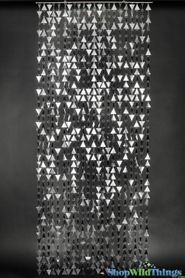 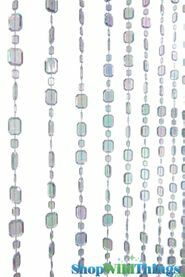 We carry metal chain curtains, crystal ceiling drapes, bubble beaded curtains and strung beads in subtle to outrageously fun geometric shapes. 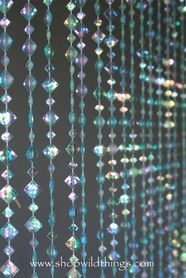 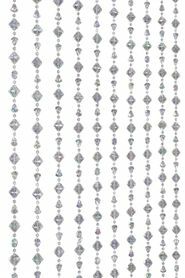 We even have beads that are cut look to like faceted emeralds, diamonds and other adored gemstones. 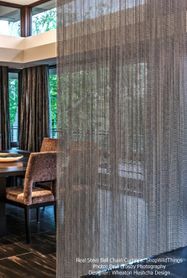 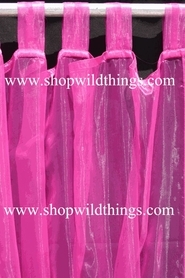 We have extra-large and long-length beaded curtains. 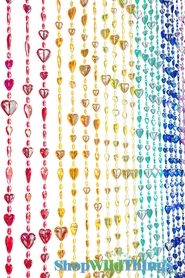 Think of a color. 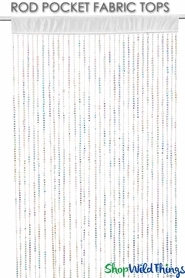 We've got it. 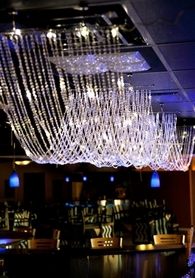 We can custom-create the size you want, no matter how extreme. 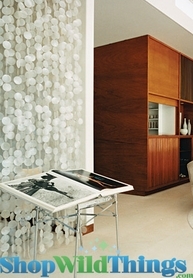 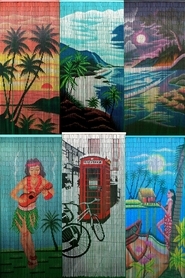 That's why designers of top television and movie sets come to us first. 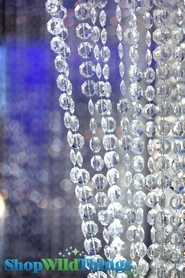 Our expert in-house staff loves ideas and challenges.